before he gets back home. for change in the couch for the bus. to grandma’s, friends, or shelters. The streets at night scare me. with booze in paper bags or fighting with women. Some stare at us. The bus seems to always take forever. then snapping with curses and threats. that Dodge’s muffler down the street. The bus always seemed to take forever. Today was full of trouble. What’s tomorrow I don’t know. I can’t worry about what I can’t control. grab the stashed clothes, and wait for the bus. But I will always be hearing a broken muffler. 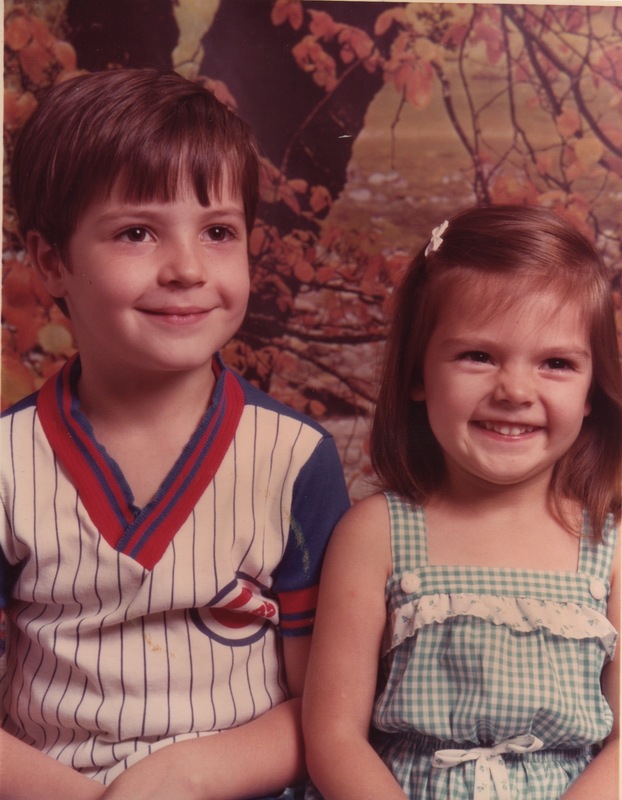 AUTHOR’S NOTE ON THE PHOTO: This photo was taken in 1984 with my sister Sarah — back when I was a Cubs fan. That year, the Cubs tanked in the NLCS to the Padres — that was the start of my defection to the White Sox. NOTE FROM THE AUTHOR: This was one of my first poems. ABOUT THE AUTHOR: David Mathews earned his MA in Writing and Publishing at DePaul University, where he studied under Richard Jones. His work has appeared in Eclectica Magazine, After Hours, One Sentence Poems, CHEAP POP, OMNI Reboot, Word Riot, Silver Birch Press, and Midwestern Gothic. A life-long Chicagoan, and he currently teaches at Wright College and College of Lake County. 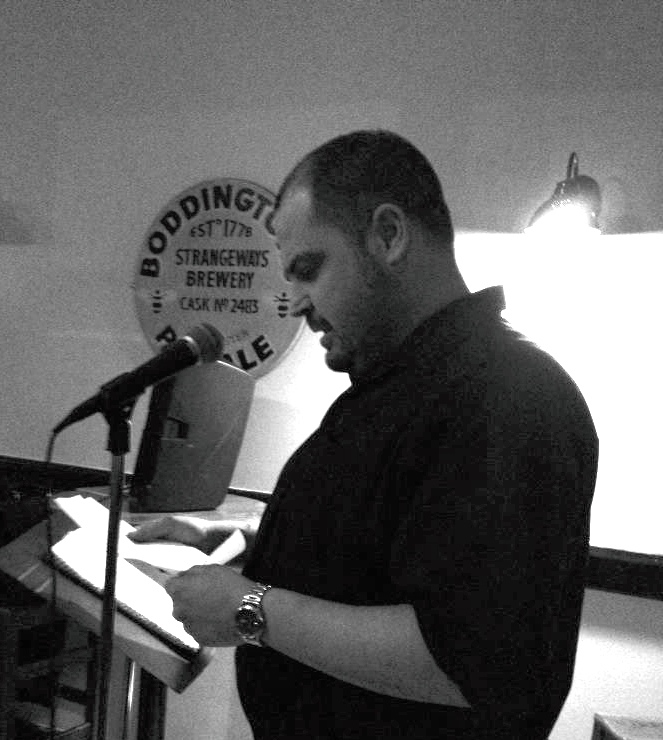 His poem “Where Did That Come From?” was nominated for Best Of The Net 2014 by Electica Magazine.